Light weight, tiny size with simple, one-hand, operation. Reads air speed in addition to the wide selection of environmental parameters listed below. Will sense airflow as low as 0.4 m/s with an accuracy of ±3% (4% >20m/s). 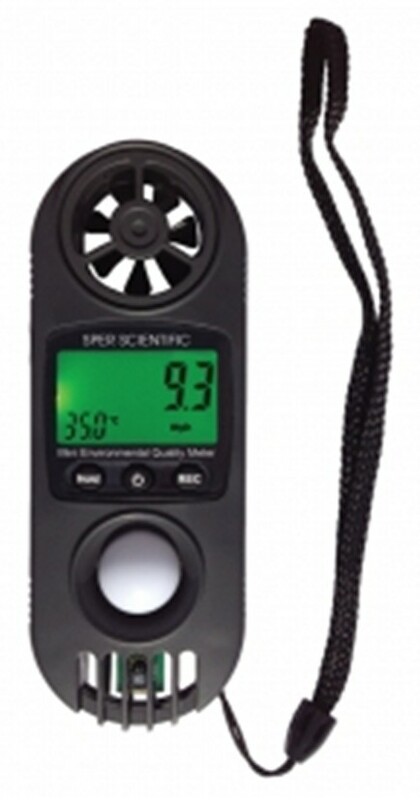 Replaceable snap-in anemometer vane. 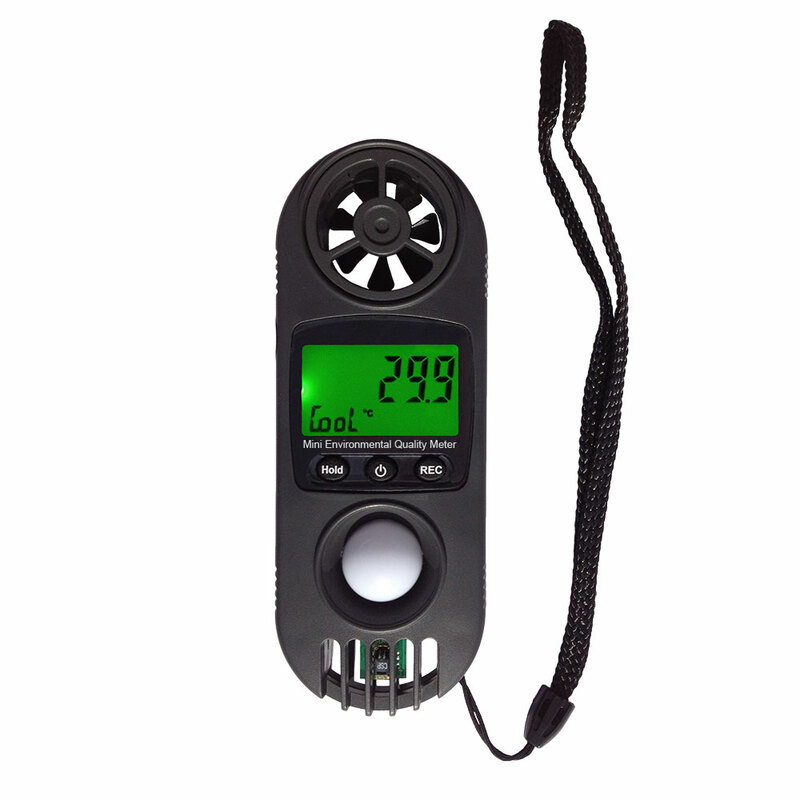 All models feature min/max, hold, a backlight and come complete with a wrist strap, carry pouch, and button cell battery. An optional Pt 1000 probe enables penetration temperature measurements of liquid or solids.